We’re looking for people to volunteer to take on the challenge of learning to dance and fundraise for us for our Strictly Charity 2018 fundraiser! We’re teaming up with Ipswich School of Dancing once again for our popular fundraiser Strictly Charity, which is returning on 21st July at Trinity Park. 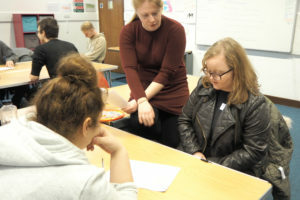 We are looking for willing volunteers to try their hand at learning to dance for our charity, which supports local young people to overcome numerous challenges onto a positive future. Each year, Inspire Suffolk host a glittering event in the style of popular BBC show Strictly Come Dancing.  We are currently searching for 5 men and 5 women volunteers to learn to dance for the event, who will all be expected to fundraise for Inspire Suffolk. Those interested in taking part are invited to register their interest with us by filling in our Expression of Interest form and a shortlist will be created. 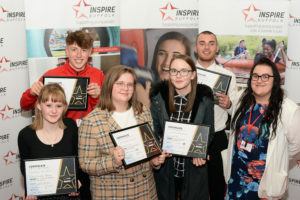 During the 10-weeks leading up to the event, Inspire Suffolk and the dance school support the 10 amateur dancers to learn to dance culminating in a ‘Strictly Come Dancing’ style fundraising event on 21st July. Over the next 10 weeks, they will rehearse two dance routines with a semi-professional dancer from Ipswich School of Dancing, which they will perform in front of a panel of celebrity and local judges. Training for the dancers is set to commence on Wednesday 16th May at Inspire Suffolk on Lindbergh Road, Ipswich. Volunteer dancers must commit to raise money for Inspire Suffolk to take part in Strictly Inspire Suffolk. 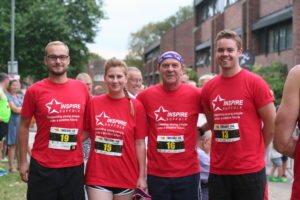 Inspire Suffolk also will be on hand to support you with your fundraising, with ideas and motivation along the way. Dancers are required to make a one-off donation of £30 to secure their place and take part.  To register your interest to take part in Inspire Suffolk’s Strictly Charity event, download our Expression of Interest form here and email it to [email protected] or call 01473 353194 for more information. Enquire about: Strictly Charity returns!